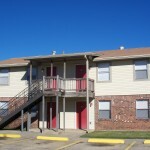 Urban Restoration Enhancement Corporation oversees three affordable housing communities, which have paved the way for hundreds of low to moderate income families in Baton Rouge to gain access to quality and safe affordable housing. In addition to providing affordable homeownership and rental housing options, UREC offers extensive housing counseling services to help families build or repair credit and create paths to homeownership. Urban Gardens is a 21 single family community located on the site of the Old Hollywood Elementary School in North Baton Rouge. 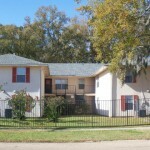 The community offers innovative housing opportunities for first time homebuyers. 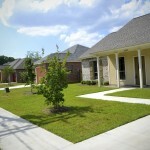 Urban Villa is Louisiana’s first Grandparent’s House and offers 2-bedroom apartment homes to families. The Louisiana Grandparent’s Information Center is located at Urban Villa and provides supportive services to Urban Villa’s grandparents raising their grandchildren. Learn more or apply for residency. Urban Meadows offers 3-bedroom apartment homes to families along with access to supportive services. Office of Community Housing Development Organization.